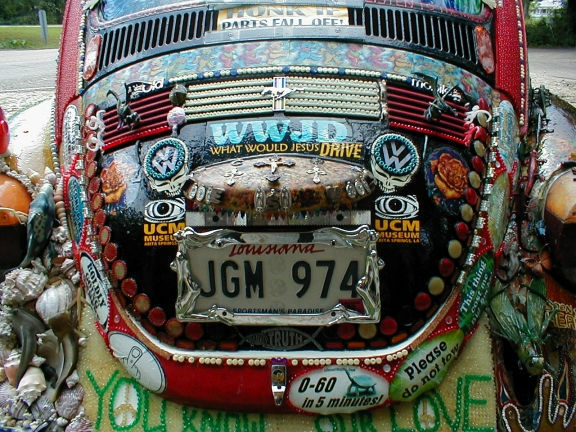 This art car showed up at the Abita Mystery House in July of 2002. Kelly Isreal is the artist who created the piece. 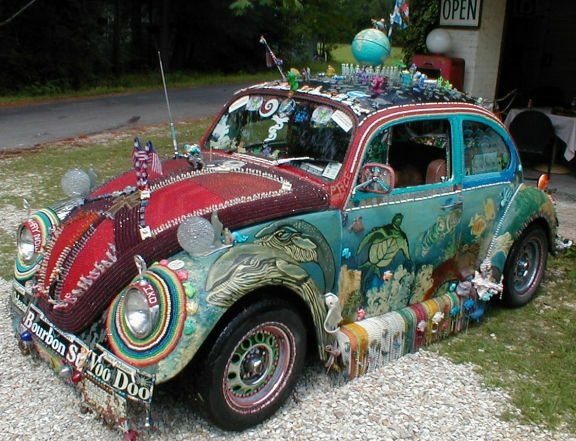 There are thousands of little things attached to the VW! 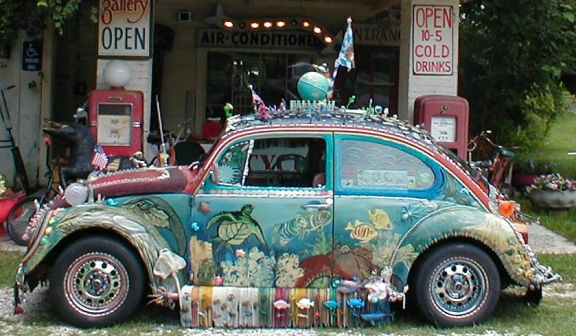 Little toy soldiers, sea shells, Mardi Gras beads, and of course bumper stickers decorate the fantastic exterior. 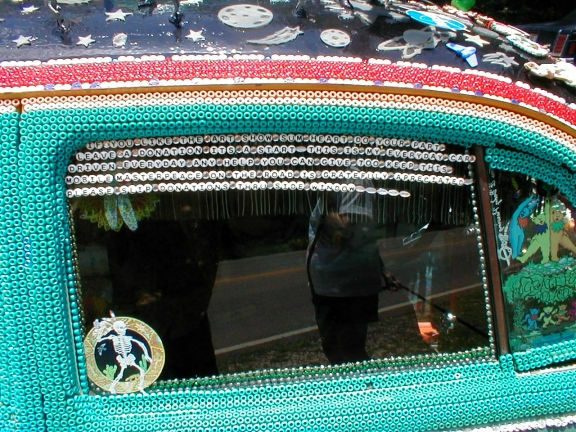 This car won a first prize at the Houston art car parade. 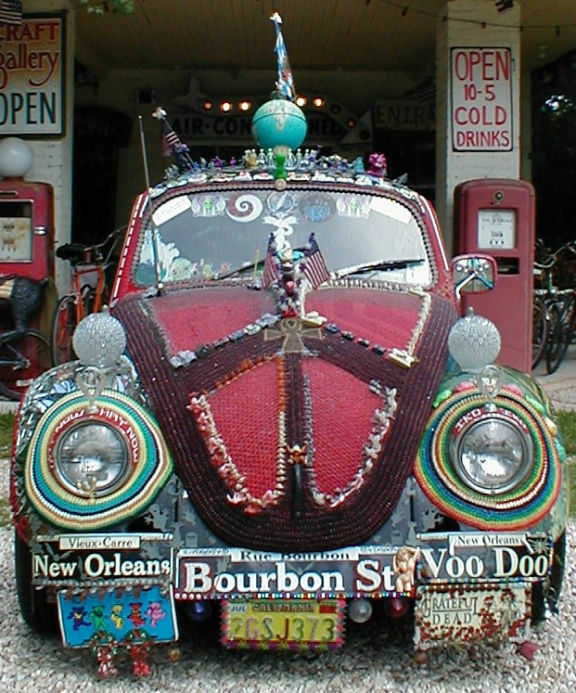 The car is often spotted in the French Quarter in New Orleans. The car goes through a lot of changes. The Abita Mystery House enjoys the Abita Springs Push-MO Mardi Gras parade - a week before Mardi Gras day. This parade encourages Art Cars, Art Bicycles, and Art Lawn Mowers. 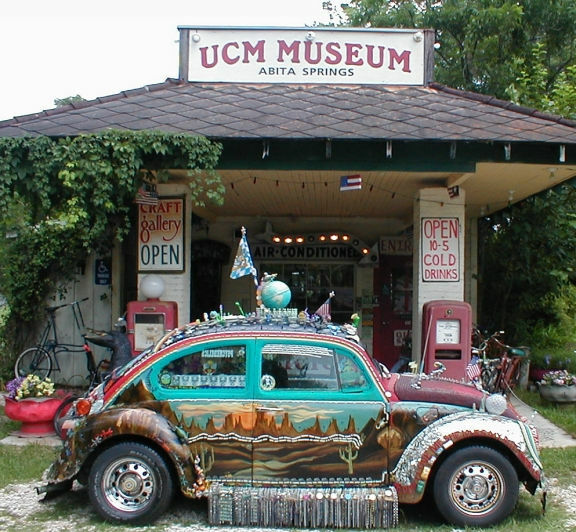 On Father's Day Abita Springs has the Louisiana Bicycle Festival which prominently offers to the public, a view of many Art Bicycles, Custom Bicycles, and Vintage Bicycles!